We stock a range of sliding box sash window furniture, fittings and fasteners in traditional solid brass or chrome and nickel for a more contemporary look. 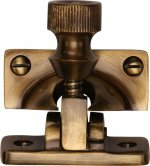 Solid brass beehive knob quadrant sash window fastener, in a standard fastener or lockable fastener type. Size 69 x 20mm. Solid brass locking brighton sash window fastener, backplate 56mm x 16mm, supplied with locking key. 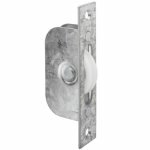 Available in Polished Brass, Polished Chrome, Satin Chrome & PVD Polished Nickel. Solid brass brighton sash window fastener on a narrow style backplate 56mm x 16mm. Solid brass narrow style locking fitch fastener, supplied with locking key. Solid brass sash window lift, by Heritage Brass, backplate 54mm x 20mm, overall height 42mm. Solid heavy cast brass sash lift with 3 fixing screws, backplate size 51mm x 20mm. Large sash window lift in solid brass. Backplate size 63mm x 24mm. 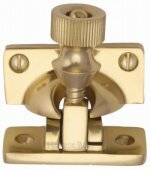 Solid brass sash window stop, enables window to be locked shut or in an open position for ventilation. Comes with 2 x stops, 4 x ferrules and a key. Solid brass sash window ring lift. Base 42mm x 18mm, projection 35mm. Solid brass brighton sash window fastener, in antique brass finish, backplate 58mm x 23mm. Solid brass sash window lift, in antique brass finish, overall size 54mm x 42mm. Smooth black iron sash window lift, size 54mm x 42mm.